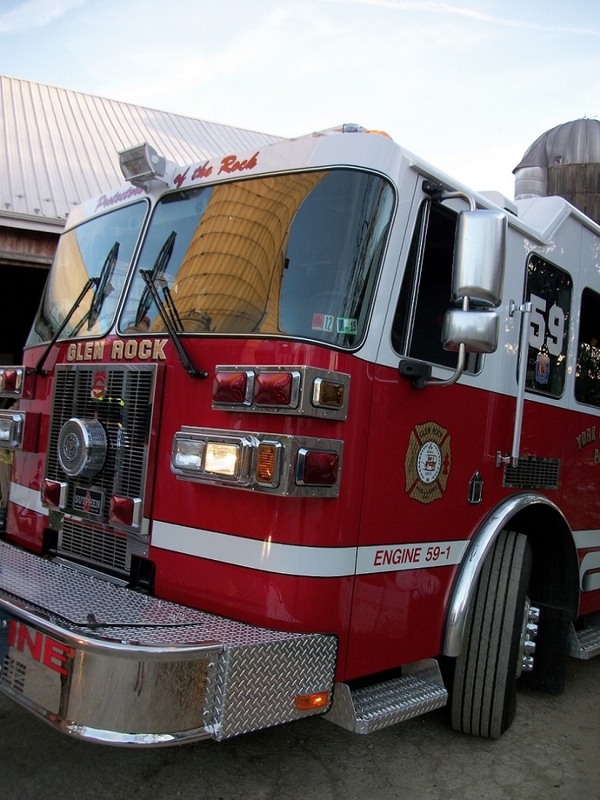 Sunday, October 19, 2014 17:22 hour York County 911 dispatched Company 59 (Glen Rock), 63 (Loganville) and Truck 58 (New Freedom) for a reported Silo Fire in the 10000 block of Mummert Drive Box 59-7 in Springfield Township. 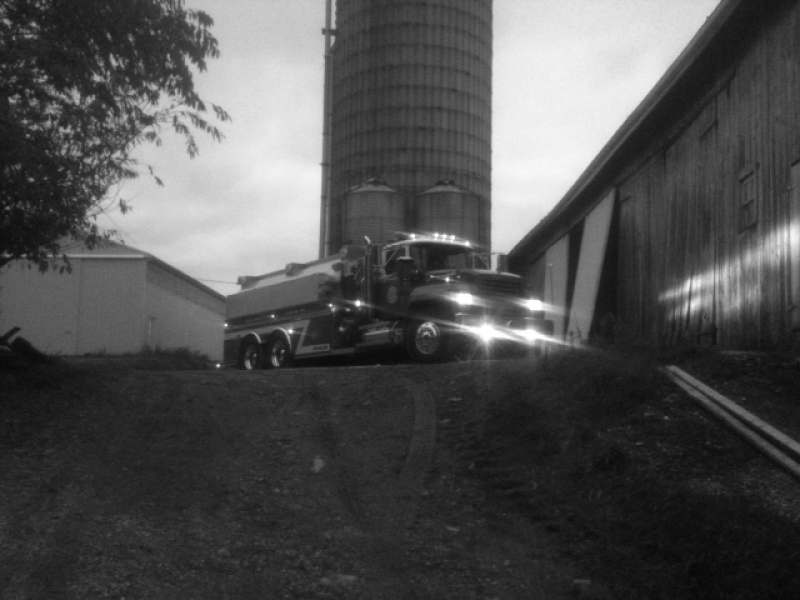 Chief 59 arrived on scene to report a working fire about halfway down a loaded silo and established Command. Command had Tower 58 ladder the silo and Engine 59 was the attack piece. Members stretched a 5″ supply line between Engine 59 and Tower 58 to supply the Tower with water. 100′ of 3″ hose was laid to the road to serve as a supply line from Tanker 59 and Tanker 63 to Engine 59. 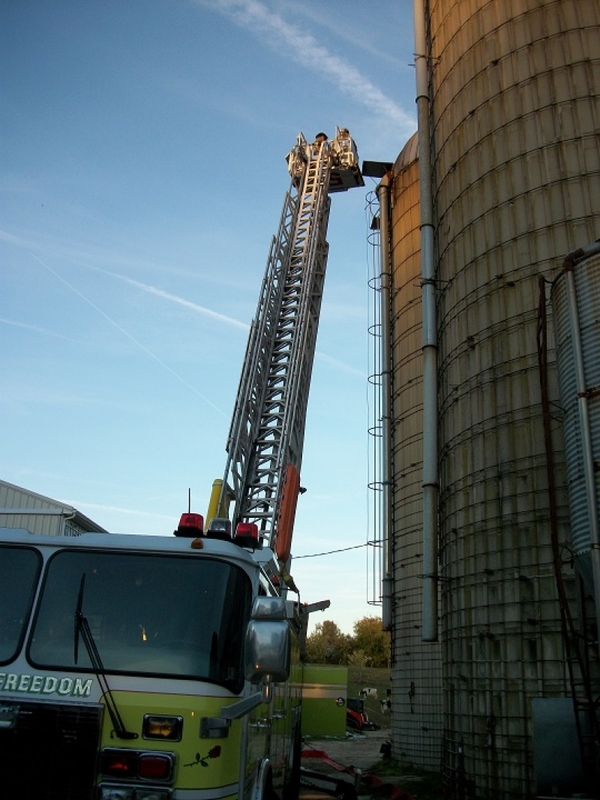 Members pulled a 200′ 1″ 3/4 hand line to the interior of the barn where farm personnel were unloading the silo. Members used heat guns and Thermal Imaging Cameras to monitor temperatures on the inside and outside of the silo. After several attempts to unload the silo failed, Command had to work farm personnel to come up with a different plan. The decision was made to use a hand line from the Tower’s bucket and enter the silo from the top and apply water to the fire. Members used 3,000 gallons of water before bringing the fire under control. Members returned to the farm on two more occasions and Loganville Fire Company returned once to apply an additional 7500 gallons of water before finally getting the fire out.